I think everyone would agree that each of us needs to play our part in conserving the environment, and there are many ways we choose to do this. Fuel efficient automobiles have been the talk of the auto industry for many years. Why? Using less of our natural resources and decreasing emissions is one huge way we can make America a cleaner place to live. Organic food is another hot topic when it comes to keeping the earth green. Eliminating the use of chemicals in food production is better for the environment and better for our health and welfare. “Green” personal care and cleaning products are yet another approach to making our world a better and healthier place to be. We have realized that toxic fumes from interior paints, cleaners and other household products can and should be avoided. At OxiGreen Carpet Cleaning and Repair in Levittown, PA, we have put our total commitment to “green” right in our name! We share your concern for our environment and our health, and have found the way to do our part. OxiGreen’s reputation for many years has been built around our 100% green cleaners and our outstanding carpet cleaning machines. We are proud to use only non-toxic, totally biodegradable cleaners that completely safe for your carpeting, your family and the environment at large. We use absolutely no chemicals in our cleaning process. Furthermore, we combine these great all-natural cleaners with powerful, truck-mounted carpet cleaners that use hot water and powerful suction to give your carpets a deep-down and long-lasting clean. 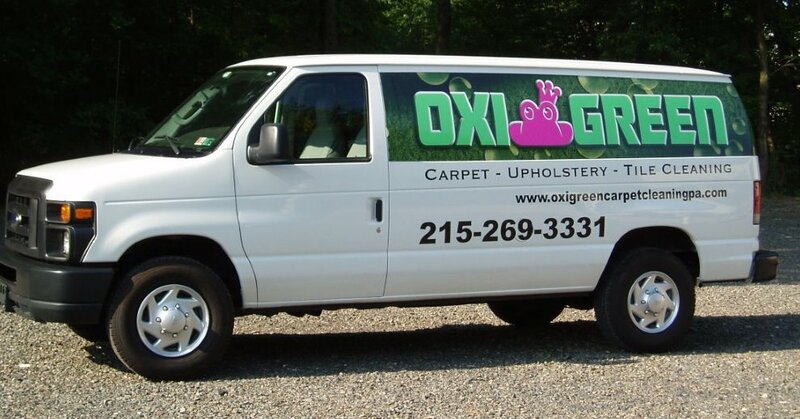 To learn more about our affordable carpet cleaning specials, our 100% customer satisfaction guarantee, and the other carpet-related services we provide, please give OxiGreen in Levittown, PA a jingle at 215-269-3331 or visit us online at http://oxigreencarpetcleaningpa.com . We are here to answer your questions and schedule an appointment to add your name to our long list of happy, healthy customers!